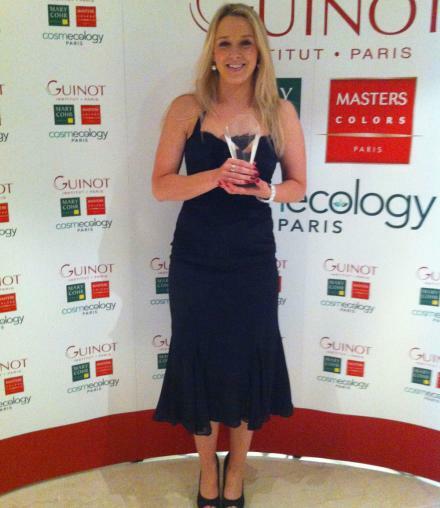 Moi Beauty in Morningside, Edinburgh, has been awarded Guinot Crown Salon2013, 2014 and 2015. This title places them in the top ten percent of Guinot’s highest achieving salons in the UK and Ireland. Attaining Guinot Crown Salon status is recognition of excellence in the field of professional skincare. This coveted award is in its 14th year. This year 109 salons were chosen from Guinot’s portfolio of 1,200 salons. By visiting a Guinot Crown Salon, clients can be confident that they are choosing one of the country’s best salons with flawless principles in environment, customer care and treatment expertise. A Crown Salon promotes Guinot in a prime location and offers all Guinot face and manual body treatments, as well as a full representation of retail products for the face and body. Crown Salon status is awarded exclusively to salons that are able to fulfil this strict criteria.